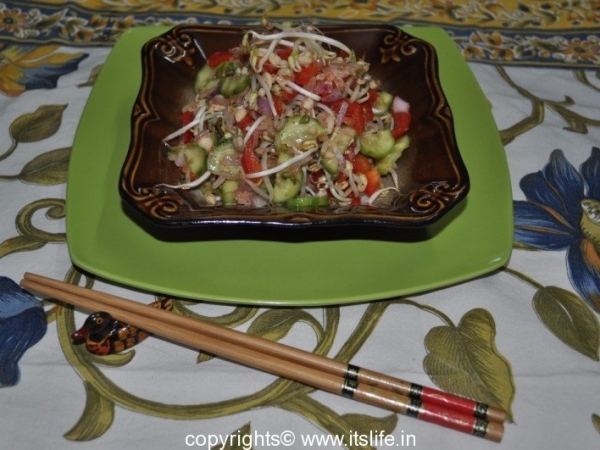 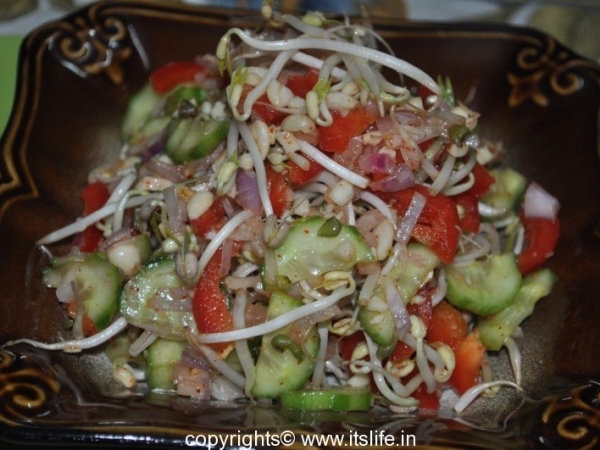 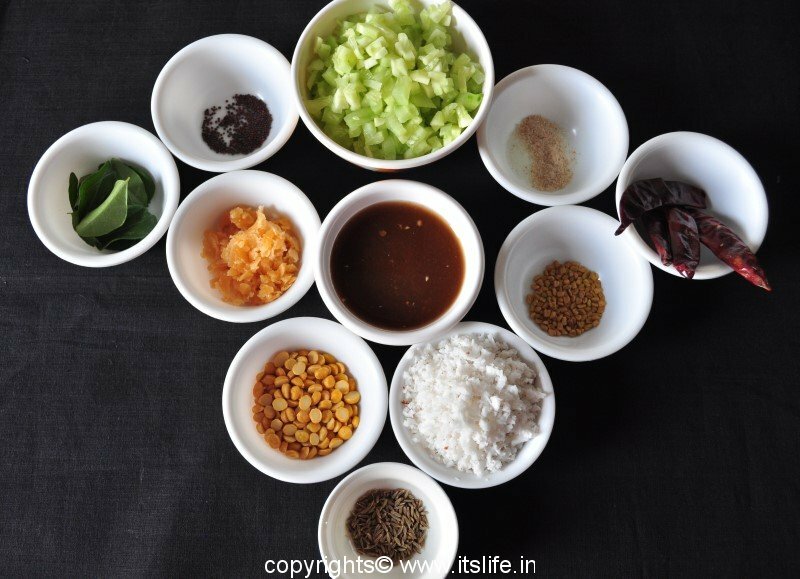 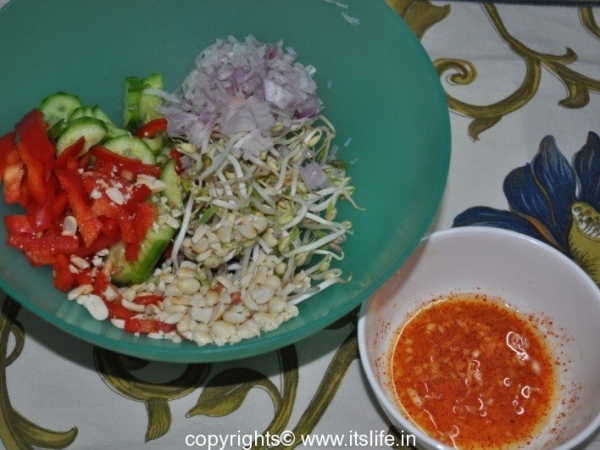 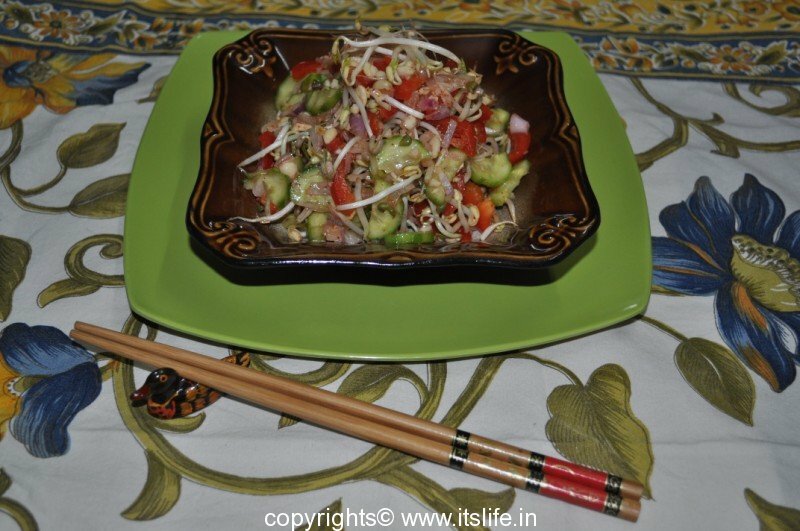 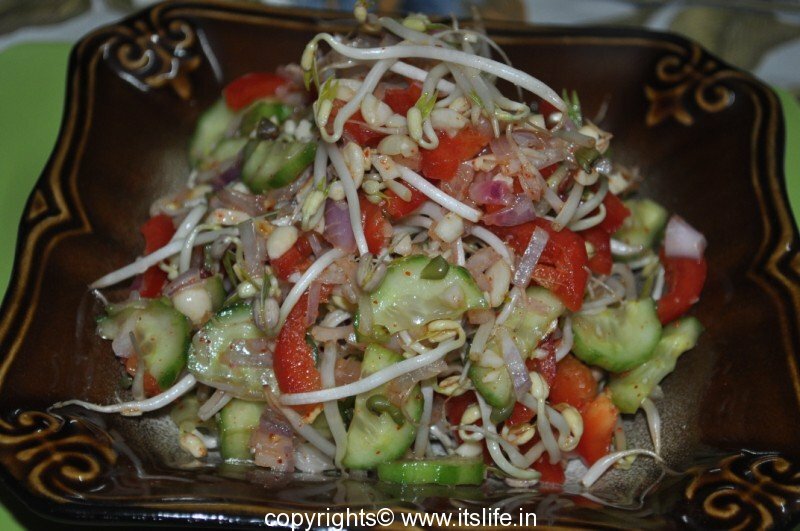 Bean Sprout Salad is a healthy edition to the dinner menu. 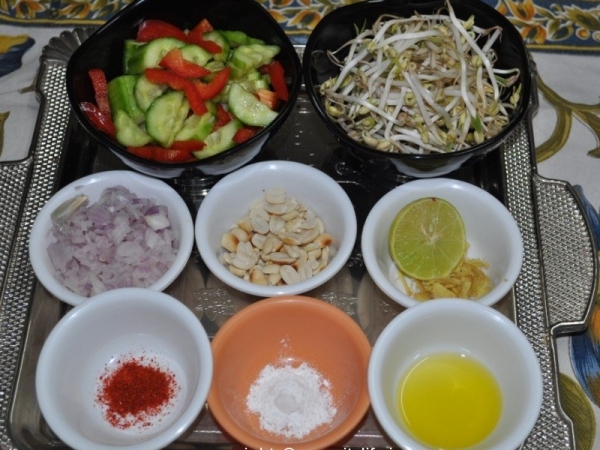 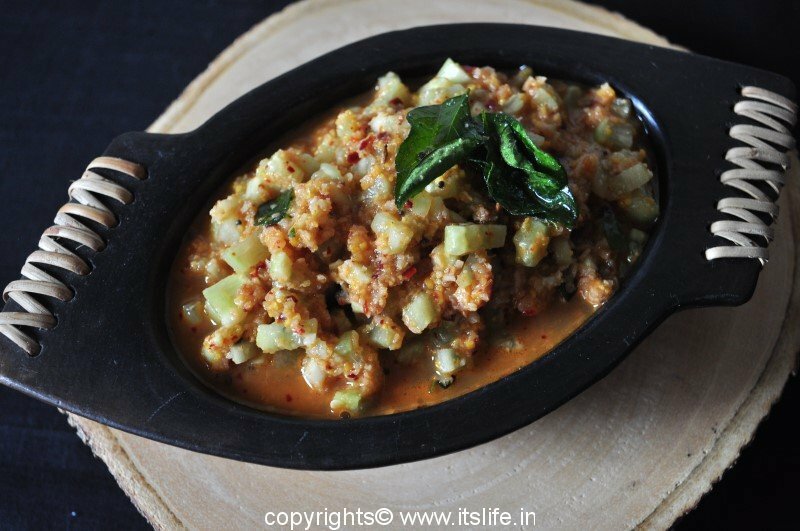 This adds variety and boosts the health quotient. 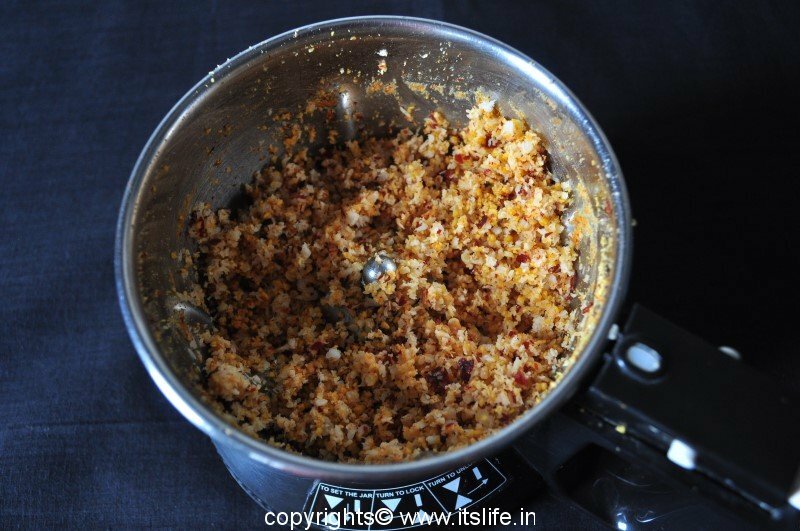 In a small cup whisk Lemon juice, Chili powder, Sugar, Salt, Olive Oil, and Ginger and keep it aside. 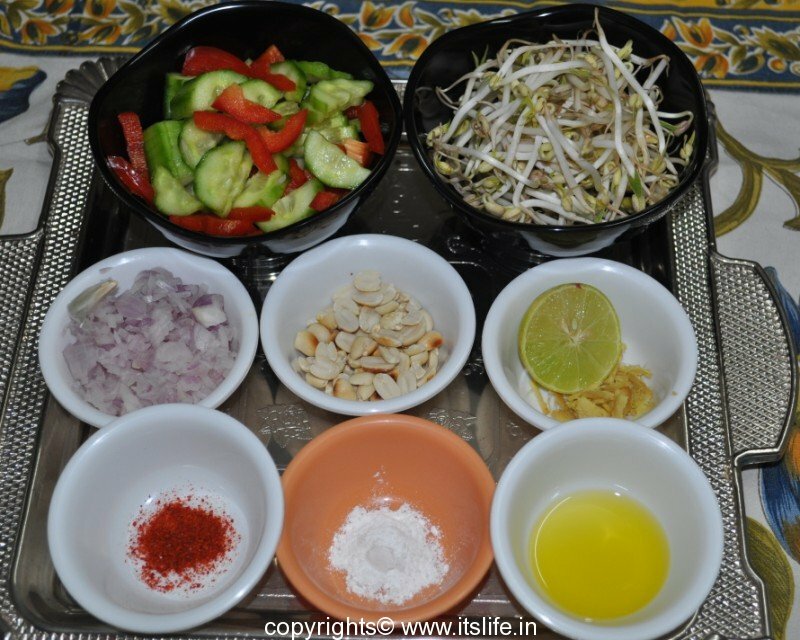 Mix all the vegetables and peanuts in a salad bowl. 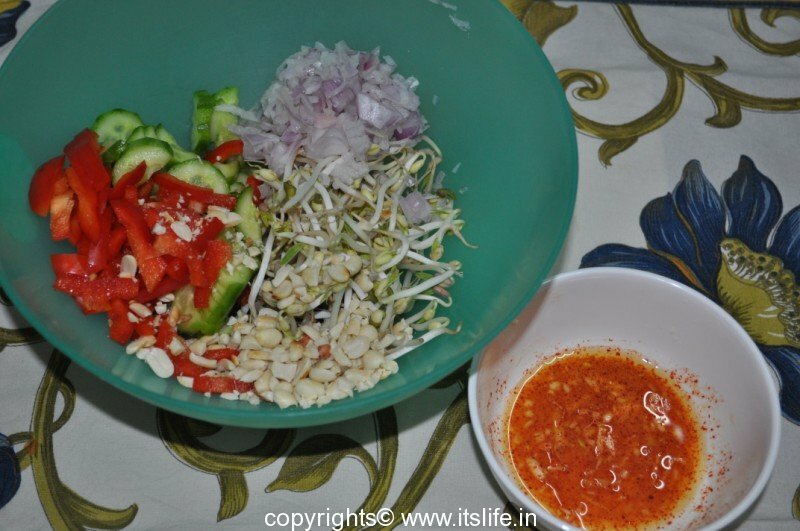 Pour the dressing over this and toss. 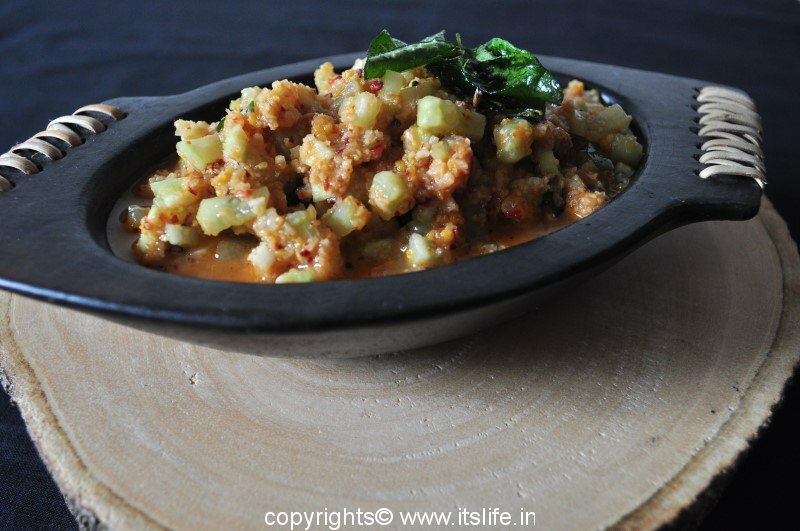 Chill and serve.